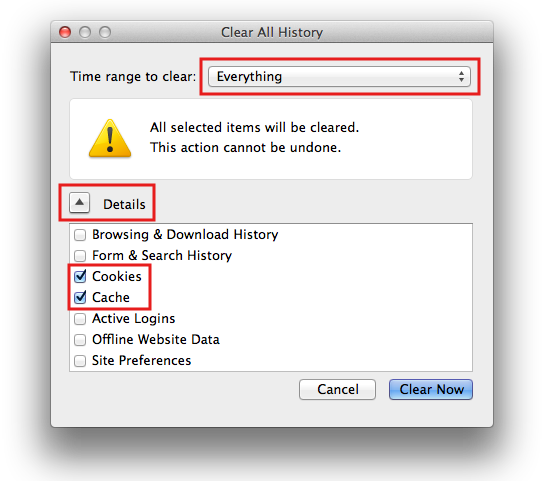 This document explains how to clear the cache and cookies in Mozilla Firefox 21+. In the window that appears, click on the dropdown menu to the right of Time range to clear and select Everything. If necessary, expand the Details section and check both Cookies and Cache.